Corporate Compliance Reporting - Public Affairs Support Services, Inc. Many states still allow for the use of Treasury funds to make political contributions. Some states allow these “soft money” contributions with limited or no reporting and some have more strict reporting requirements. Stricter reporting includes Late Contribution Reporting which must be filed within a certain time period before an election. Knowing which states allow soft money contributions and which require the use of political action committee (PAC) funds is extremely important too. Giving without knowing is dangerous to your organization’s reputation and non-compliance could potentially result in fines and the loss of existing and future business. If your organization is contributing or considering contributions to non-federal candidates using the organization’s treasury funds, consider hiring a knowledgeable partner to make sure you stay compliant. While some states allow for the use of an organization’s treasury funds to make contributions to non-federal candidates in the state, the type of contribution dictates the contribution limits and required reporting. For example, your organization can contribute using Treasury funds in a particular state to an independent expenditure (IE) committee but not to a candidate committee. Or, contributions made to candidate committees are reportable while contributions made to IE committees do not need to be reported. Every state is different. While contributing with Treasury dollars seems like a panacea because it frees up your PAC funds or “hard money,” it does not free you from campaign finance compliance obligations. State reporting schedules and the complexity of reporting forms vary by state. Every state is different and you need to know all of the regulations that apply to your contribution before you make the decision to contribute. The Compliance Experts at PASS will help you navigate the complex waters of state campaign finance. Your PASS Compliance Manager will provide you with all of the regulations, limits and reporting requirements you need to make an informed decision before you begin giving to non-federal candidates. And, when you are ready to make a campaign or Independent Expenditure contribution, your Compliance Manager will review your contributions to make sure they are compliant with individual state rules and regulations. PASS’ services do not end with the contribution. 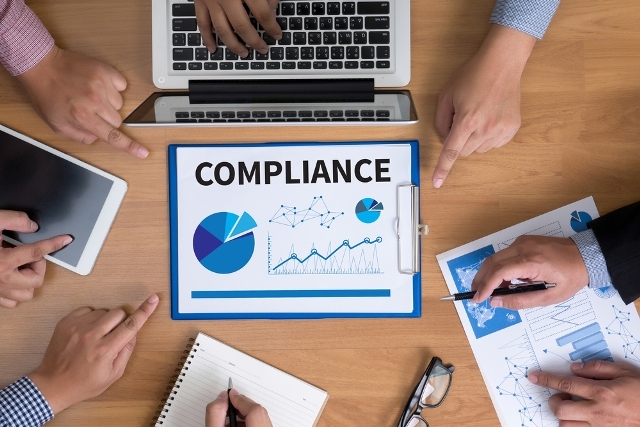 After you make a contribution, your Compliance Manager tracks any reporting obligations associated with the contribution and prepares your campaign finance reports for you to review before your Compliance Manager files the reports for you. Once you decide to start making state-level contributions, it is very easy to lose track of what has been contributed, who requested the contribution, and which contribution requests are outstanding. With 50 states in the country, keeping track of contribution requests and which requests have been fulfilled is difficult. Centralizing the state-level requests is a best practice but can be difficult to do when your Government Affairs team is scattered across the states. PASS makes keeping track of campaign finance contributions easy with our proprietary software, epacInfo. Our multi-function software not only keeps track of your contributions, but the disbursement approval feature allows users to make requests and route those requests – to one or many individuals in an organization – for approval. Once internal approval has been granted, your Compliance Manager will review the disbursement for compliance with all applicable state laws. After the compliance review is complete, your Accounts Payable department can write checks using epacInfo without entering any additional data. epacInfo keeps all of your campaign finance information in one place. After the disbursements to candidates and committees are sent, your Compliance Manager will keep track of all reporting obligations associated with those disbursements. As a PASS client, you will receive a monthly reporting schedule so you are aware of upcoming reports. Your Compliance Manager will prepare reports prior to the due date and send them to you for your review and approval before filing them with the state and/or local election agency. Not sure what you’ve given in a particular state this year or this election cycle? epacInfo can help with that as well. Your disbursement and reporting activity is easily accessible using epacInfo. With as few as three clicks of a mouse, your data is available in real-time and you can run reports to evaluate your giving activity. Reports can be downloaded or presented in a PDF format to share with your team. epacInfo is easy to use and is available all day, every day. In the increasingly complex and dangerous world of campaign finance, don’t risk unknowingly breaking the law. Partner with a firm that specializes in state campaign finance regulations so you know the rules before you contribute and you know what to do after you contribute or whether you can contribute at all. To keep your organization compliant, it’s best to get the help you need so you know before you give. Hire a team of campaign finance professionals to keep track of corporate activity and prepare your compliance reports.